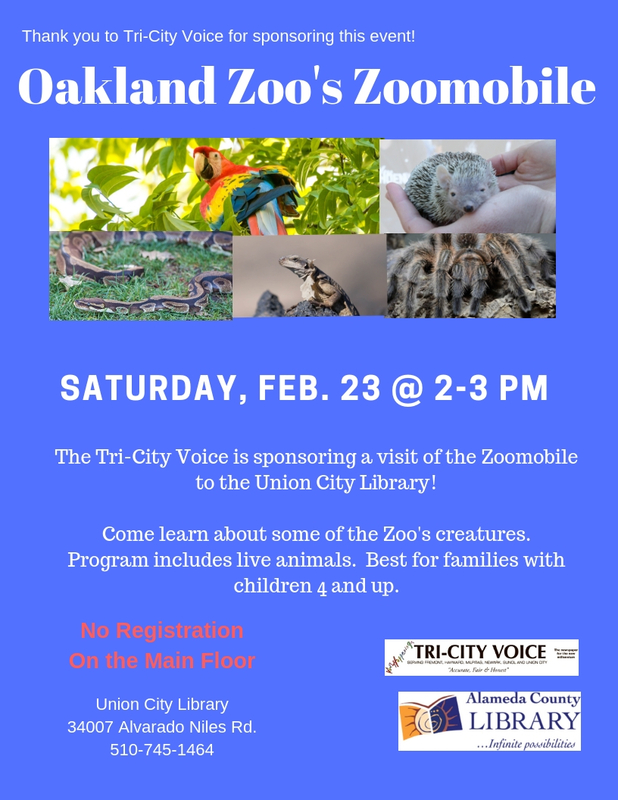 Come and see Oakland Zoo's Zoomobile on Saturday, February 23rd from 2-3 PM. Live animals from the zoo are coming to visit our library. This program is generously sponsored by Tri-City Voice newspaper. This program is best for families with children ages 4 and over.